We live in uncertain times. In today’s rapidly evolving global risk climate, the threat of terrorism is a great concern for companies in the US and around the world. As such, terrorism insurance coverage has grown into an important consideration for commercial entities. President George W. Bush signed the Terrorism Risk Insurance Act (TRIA) into law on November 26, 2002, thus creating a federal program to respond to terrorism events. The US Department of the Treasury says the purpose of the TRIA is to “provide a transparent system of shared public and private compensation for certain insured losses resulting from a certified act of terrorism”. The program is administered by the Secretary of the Treasury with help from the Federal Insurance Office. How did the TRIA 2002 define terrorism? An act committed by an individual or individuals acting on behalf of any foreign person or foreign interest, as part of an effort to coerce the civilian population of the US or to influence the policy or affect the conduct of the US government by coercion. Property and casualty insurance losses resulting from the act, in the aggregate, do not exceed $5 million. The Terrorism Risk Insurance Program (TRIP) was extended from December 22, 2005, through December 31,2007, with the signing of the Terrorism Risk Insurance Program Reauthorization Act of 2007 into law. On December 26, 2007, the president signed into law the Terrorism Risk Insurance Program Reauthorization Act of 2007 (TRIPRA), which extended the program through December 31, 2014. TRIPRA was then extended again in 2015 through to December 31, 2020. The original event dollar threshold set in TRIA 2002 was $5 million, but that was raised to $100 million in 2007 and will gradually increase to $200 million by 2020. TRIPRA has a total cap on annual losses of $100 billion. Any losses above this threshold are uninsured. All insurers who participate in TRIP must pay a deductible if the triggering event dollar threshold is met. The deductible is calculated as 20% of the insurer’s direct earned premiums for commercial insurance. If the event loss exceeds the insurer’s deductible, they will then share the losses with the federal government. By 2020, insurers will have to pay 20% of excess losses and the government will pay the remaining 80%. Before 9/11, most insurance companies in the US were covering terrorism as part of their commercial products. It was not necessarily a named and priced peril; rather most companies did not explicitly exclude terrorism from their policies. After 9/11, the landscape changed as insurance organizations grew increasingly concerned about international terrorism risk, and many primary insurers filed requests with their state insurance departments to start excluding terrorism from their commercial policies. Just six months after 9/11, 45 out of 50 US states approved these exclusions in standard commercial insurance policies. This then led to the enactment of the 2002 TRIA and the TRIP (explained above). Which personal insurance policies cover acts of terrorism? Acts of terrorism can be covered under various personal insurance policies. For example, while standard homeowners’ and renters’ policies might not specifically reference terrorism, they will cover damage to property and personal possessions as a result of explosion, fire and smoke – all perils typically associated with acts of terrorism. Furthermore, drivers who have purchased optional comprehensive auto insurance coverage will get protection against terrorism-related damages to their asset. Some travel insurance policies will also cover trip cancellation and interruption losses as a result of terrorism. Some insurers offer standalone terrorism insurance products in lieu of TRIPRA coverage, mostly in terms of property and business interruption coverages. A lot of these products are very new and are written out of Lloyd’s of London. As such, it’s important for any brokers selling the products to have “a strong relationship with London to make sure they’re accessing the best products,” said James Gregory, regional director, Aon Crisis Management, Aon Risk Solutions. 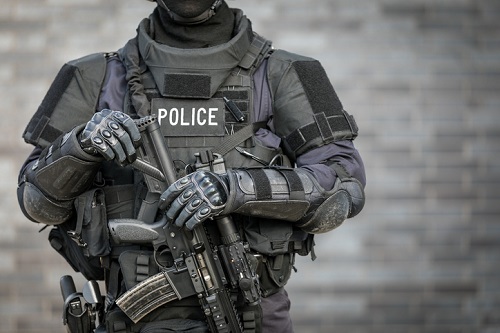 Standalone terrorism insurance coverages are particularly beneficial for clients when it comes to business interruption claims, according to Timothy J. Guiltinan, executive vice president, Global Excess Partners – a subsidiary of H.W. Kaufman Group. He told Insurance Business it can be difficult to process a business interruption claim through TRIPRA because the $5 million damage certification threshold required to trigger the coverage is hardly ever met. For example, after the Boston Marathon bombing in 2013, several businesses were interrupted due to the police investigation. However, the event was not certified because the losses did not trigger the TRIPRA threshold, therefore any businesses relying on TRIPRA coverage struggled with their claims. A standalone terrorism insurance policy doesn’t require the same process of certification and should cover all terrorism-related losses, Guiltinan explained.